Celtic Roots Radio station and podcast! Listened to one show and now I’m hooked. Love what your doing - keep it up. Hello from Los Angeles. I just found your show on iTunes last week and I’ve been enjoying it immensely! I’ve never been to Northern Ireland but I was blessed to have visited Ireland several years ago and think of it daily. I have been obsessed with all things Irish since I was a teen, over 20 years ago, so that trip was a dream come true for me. Your broadcast truly brings me joy (usually during my walks and on my hour long commute). Please keep up the awesome energy and quality, you’re doing a great job!! Raymond I am a great fan of your podcast, Celtic Roots Radio. Thank you so much. Hello Raymond, I'm MERBS from Philippines. I really love Celtic music, I’m a big fan of your podcast since I discover it back in 2014. I’m currently now here in New Zealand, actually I have a lot of Irish and Cornish friends back in Saudi in the desert, when I work there. Most of them are my workmates! Cheers Raymond keep up the good work. Just heard an awesome cover of "All my tears" by @jarsofclay by @fretnotgospel on an old episode (ep 1) of @CelticRoots. Sick dobro playing! Stellar show, this and Radio Rebel Gael are my top podcasts, keep on rockin' fella. These must be my true roots. The music lifts my spirits for the entire day. Thank you for putting this together. Thank you for the preview of what music in Heaven will sound like. Being a Pat Liston fan, he's given me a new appreciation for Celtic/Irish music. Love this station! Thanks. I just subbed and I am enjoying the wonderful music! Thank you so much! I was wondering if you could turn down the music in the background as you speak as it is a bit hard to understand you. Then when you turn up the music I have to turn down my sound. I will be a loyal subscriber! When will there be another podcast? I truly enjoyed this podcast and was going through all the back catalog until Raymond decided to start commenting on the difference in American and European politics. Even that was OK until he started espousing a decidedly socialistic/communistic point of view. I don’t care what his politics are but I don’t need to hear it. Keep it to yourself or start another political podcast. Really ruined it for me. Too bad because the rest was excellent. Goodbye Raymond. Could you please, play J C Planet ... Thanks a lot from Brazil. I love your podcast, most of the music and all of the local color commentary. Perhaps my favorite commentaries are your language lessons that highlight how things are said and what things are said depending on their region. Missed this podcast. Like an old friend. Glad it’s back between my ears. One of the few you will find yourself listening to multiple times. I could listen to this show all day – a nice mix of commentary, great music and Raymond McCullough is entertaining and has a beautiful way of talking. Love it! I’ve been enjoying this podcast for a couple of years now and can’t say enough good things about it. It’s introduced me to many artists I would have never heard otherwise, tucked here between the mountains in Colorado. Keep them coming, please. Just wanted to say thanks for Celtic Roots Radio. Traveling is one of my passions, and by listening to your radio show, I'm able to picture myself visiting Ireland one day while driving about in my car. This should be your go-to source for adding new Celtic artists to your watch list. Tried it once and I’m now a subscriber. Great stuff! I really enjoy this podcast! 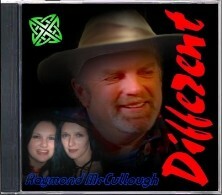 I am not Irish, but I love the genre and Raymond does a fantastic job! I recently found your podcast on iTunes, and I think it’s wonderful. I’m a bit of a geek, and I like to trace music as far back historically as I possibly can, trying to find common roots. This podcast contains music I’ve been trying to chase down here in the U.S. and overseas with great difficulty only to find it here, all in one place! Thank you for the great choices. I am enjoying it all. On an unrelated note, I’m listening to your podcast #55 as I’m typing. Many congratulations on the Irish language being studied in areas previously considered, shall we say… politically separate? I am by no means an expert, but I know that this is a moment to take note of. It gives me hope that some of our more difficult personalities here in the U.S. can someday find something to work on together. I just found your Podcast on iTunes, and I'm loving it! My three year old son Liam keeps asking for "dancing music," and so we listen all day! Thanks for sharing! I love your podcast! It’s very entertaining and there’s a wide variety of celtic music on your podcast. It keeps me entertained while at work. You can’t find Celtic music on the radio here in Pittsburgh, PA.
My wife wishes I’d never found this show! It’s all I want to listen to now. Thanks for providing me with some new music, as well as some of the classics. Keep doing what you do, and I’ll keep listening. Wishing you the best from the U.S.A! I play pipes in a local PB, Tir na Nog Pipe Band, in Trenton, New Jersey, USA. I enjoy all kinds of Celtic/Irish music and your podcast is a wonderful place to hear it. I’ve really enjoyed listening to all the great music from around the globe (including some from my area!) and the craic is top notch storytelling. I’ve also recently read some of Raymond’s written work and found it just as fulfilling. My only complaint is that it is not released often enough! Keep up the great work, sir! Raymond love the show and the web page as well. Keep up the good work. Just writing to let you know how much I enjoy the Podcast; More recently I discovered the Live 365 channel on my iPhone. It helps to pass the time as I work quietly on database cleanup projects at the local library where I work here in Southeast Texas. You have quite an eclectic range of music on offer. My family Heritage is mainly Scottish (we’re a Sept of MacDonnell of Keppoch, itself a part of Great Clan Donald), but only recently did I learn that some of my ancestors immigrated from the Ayrshire region of Scotland over to Ireland. I’m not descended from that branch, but I was able to find on the open internet a set of marriage and birth records for Ronald family members in Co. Down and Co. Antrim in the mid 19th century. I am curious to learn more about these Ulster Scots distant cousins, and I wonder if any of them are still living and working in NI to this day...I’ve idly looked up my surname on white-pages residential listings databases for N.I. but never found anyone with surname Ronald. Just curious if you know of anyone with that Surname, or know anyone who knows someone? My full name is John Jamison Ronald. It’s an uncommon surname, even in Scotland proper, though I’m given to understand that people with that last name are still situated in and around the city of Ayr and the region Ayrshire. I’m not very knowledgeable of Scottish geography, but I think Ayrshire is more the lowlands than the Highlands. I think our family were Highlanders at one point, even possibly Jacobites, but who came down from the Highlands to resettle in the lowlands, perhaps seeking better fortunes. I think my branch of the family immigrated directly to America from Scotland. As for the N.I. branch, it’s possible they were so few in number that they simply intermarried into the local population and vanished as a distinct family. Anyway, I’ve always had an interest in my Scottish heritage and have been an avid fan of all things Celtic music related since the early 1990s. One of my best friends from that time was an Irish post-doc in Cell Biology from Co. Galway. Although I’m a fan of Scottish bagpipes and Highland fiddle, I think I actually prefer the Irish uilleann pipes. I find the music they make has a more deeply soulful, sometimes mournful quality that I really enjoy listening to. Anyway, keep up the great job with the music and the amusing anecdotes from everyday life in N.I. past and present that you choose to share with us, it’s always appreciated. ♥ ♥ ♥ Many thanks. Live365 Radio & Celtic Roots Radio. Hey, Raymond, I just listened to your latest show—while working on adding it and the rest of this week’s other new episodes to my Celtic music podcasts playlists. As usual, you did another excellent job. One of the things I really like about your shows is that you play music I won’t hear anywhere else, including avoiding playing the same things again. You had some lovely vocal performances this week. The Frank Emerson song reminded me of the Chieftains album "San Patricio". Boy I’d love to be Irish, but if I listen enough to a great podcast like this it’s almost as good! Yeah! Habe nur kurz in die ersten 3 Minuten reingehört und mir war klar der Podcast muss es sein! Vielleicht kommt ja sogar noch was von den Dropkick Murphys, ich lass mich überraschen. Good morning all! Listening to great #celticmusic on @celticroots radio. Check out Celtic Roots Radio on Live 365. @CelticRoots Your Live 365 station is awesome. And I absolutely LOVE the Celtic Daily Prayers! I subscribed a while back and have finally had some time on the road to listen. Great Job Ray! Keep up the good work. Great mix of music. Don’t change Anything. Great music and an entertaining host. The only thing wrong with this podcast is that I’ve burned through all of them in a month’s time. If you’re listening on an Apple device the Apple enhanced versions are very high quality and the levels are spot on. Love Celtic Roots Radio, from the music to the craic this is a great podcast for lovers of all things Irish. You make me miss my homeland a little less every time I listen. Just found you out. Great music, and great podcast patter. Cheers from Austin, Texas. I really enjoy listening to your podcast while I’m milking. I like to think it makes both me and the cows happy. Love the podcast. My 3 year old son and I were dancing around the kitchen while making dinner and listening, then he started making his trucks dance. Love your podcast Raymond! I once worked at a Irish pub in San Francisco and when I left I have missed the Irish people for the last four years. Your podcast brings back great memories. Thank you Raymond, Erik in Southern California. Hello friends! I’m Brazilian and I want to congratulate you folks! I love Celtic music and I’ve been searching for a radio of this kind of music!! Thanks for keeping this!!! Happy New Year from Belfast, am not originally from Belfast, I am Scottish but unfortunately have an English accent. Been here in Belfast for 2 yrs now and love it very much. Went down to Southern Ireland a few years ago and was amazed at all the green fields - lovely country. I have learned a lot about Ireland since I have been here and want to learn even more and meet as many people North and South of the border and from both Catholic and Protestant religions. Great music as always! Thanks from East Texas! I’m learning Irish tenor banjo, and loving it! I’m trying to start a session here. I just wanted you to know I love your podcast! Great music and stories! I especially love how you use the apple enhanced version, it makes going back and listening to my favorites even easier! You'd be surprised how few podcasts take advantage of this feature, and it's greatly appreciated! Thanks, and long live Celtic Roots Radio! I just want to thank you for your podcast. Fascinating and mesmerizing. Just started listening this week. Love the show and listen while jogging. Greetings from St. Petersburg, Florida! Thanks for another awesome podcast. I finally downloaded the Live365 app, so I can stream your station on my iPod. Keep up the excellent work. God Bless. Love these podcasts. Celtic and bluegrass music puts a smile on my face and gets sparks to fly off my heels. Been listening to your discussion of Irish and Scots Gaelic on Celtic Roots Radio. Your knowledge and pronunciation of Irish is right on, but you’re way off in some significant ways in terms of Gàidhlig. We don’t use the same expression for "do you understand Gaelic" in Gàidhlig. The verb for "to understand" is the same, but the pronunciation is radically different from Irish. A bheil thu a’ tuigsinn? Do you understand? ah VAYL oo ah TOOK-sheen? More importantly, we wouldn’t use "tuigsinn" at all with regard to asking if one can speak Gàidhlig. We’d say A bheil Gàidhlig agad? Do you have (ie, speak) Gaelic. a VAYL GAHL-ic AK-et? Good show, my Irish cousin. I recently found and devoured every episode of this podcast. It has a broad enough range of music so that I don’t get bored. The only complaints I have with it is the host’s accent - it is a bit hard for me to understand from time to time. Probably just me, I’m the one with the accent, not him, right? The other beef I have is I have run out of episodes. Now I have to wait for more. Hello from Alabama. I Love Celtic Roots Radio. Love your radio show. I usually download the podcast and then listen to you on my drive to work. I have always been a big fan of Celtic music and your show is a great source of good music. I am coming to Belfast Ireland in 2013 with our Fire Department’s pipe band for the World Police and Fire games and love hearing some of your stories about the different places in Ireland. As far as I know my father’s family came to Halifax, Nova Scotia, from Dingle Bay in Co. Kerry in the late 1700s, so I plan to visit that part of the country when I am there. Maybe you could talk about the region on one of your shows. Dear da I’m writing to let you know you reach the smallest of villages. My name is Rhys and I’m 23. I live in Pilot Grove, Missouri, USA. My town has less than 700 people in it. I’ve always had an Irish accent, though I was born in the USA. I have always longed to live in Canada or Ireland and am making the move soon. Your podcast keeps my dreams alive. Thank you. First off, I’m Ed Freeman from Seattle, Washington, U.S.A, and I love the podcast. You have a great blend of different music styles and commentary. I also like the half-hour format -- it's much more suitable for podcast listening than the usual hour format of most podcasts. I agree with you. It’s very painful watching my country go crazy and I’m not sure where this is going to wind up. For instance, there actually is a lot of criticism of President Obama. Unfortunately, a lot of it centers around ‘birtherism’: the idea that Obama was secretly born in Kenya and infected with Islam there and is secretly planning a coup to enforce Islamic Sharia law in the U.S.; if he was born in Kenya then he is ineligible to be President. I deeply wish that I was making this stuff up. There are an amazing number of reasons why this is idiotic; let me just mention that the Republican challenger for the Presidency in 2008 was John McCain, and he was born in Panama, not the U.S. For some reason, nobody ever questioned his eligibility to be President. I think the fundamental issue is campaign contributions. It’s looking like the next Presidential election cycle is going to cost the two main contenders $500 million each. I don’t know, but I suspect that’s a healthy percentage of the Irish governmental budget. With sums like that, the contributors are going to want to see a solid return on their investment. Take the Afghan war for example. The vast majority of the population want the war ended *right now*. However, there are a lot of companies making a lot of money off the war. If a politician comes out solidly in favor of the war they lose a lot of popular support; if a politician comes out against the war all the campaign contributions from the war contractors will go to his opponent. So, nobody says anything and everybody kicks the can down the road. We’ve got millions of people that haven’t worked in years and are looking at their benefits running out, many more than the whole population of Ireland. We have a whole generation that is trying to retire on busted pensions. But people in poverty don't make much campaign contributions. Inspired by the discussion of mp3 vs aac formats in your latest show I wanted to add my two cents in. I pull down your rss feed onto my Android phone and the aac version works just fine for me. So it isn’t an Apple-device-only capability. What I would find helpful would be separate rss feeds for the mp3 & aac versions of the podcast. Every time you release a show my podcatcher downloads both version, but I really only need one. Thanks for your delightful podcast, it is always a joy to listen to and has introduced me to many musicians I was previously unaware of. I’ve listened to your station a number of times now, and I love it. Hello Raymond - listening to your latest show and heard that another person has problems listening to the podcast. My iPod crashes and then restarts if I try to listen to the Apple enhanced version. The regular version is fine - in fact that is what I am listening to now. I have had a problem with the Apple enhanced version for a while now. I, too, am able to listen to the enhanced version on my PC, but listen mostly to the show on my iPod. So yes, I am having the same problem. So, while I’ve got you - great podcast! I love your selection of music and you don’t quite sound as much like you are recording in a closet like you did before. Great show - thanks for the effort you put into it. God bless! I’m from Brazil and I’ve always looked for decent Celtic music radios/podcasts and I’d like to congratulate you for your awesome work! Thank you and congratulations again, you’re doing a great job! I’m not sure why there seems to be a genuine lack of authentic Celtic podcasts to download. For anyone who was searching, as I was, stop right here. This podcast is an amazing assortment of independent artists, artfully arranged by the host, Raymond McCullough, who also gives great commentary with the history, culture and traditions of Ireland. I should have written this review a while ago. Recently, there were several months where Celtic Roots did not broadcast and that left an unexpected void. With Roots back on track, I felt I had to show my support to keep this i-Tunes gem going. If you were searching, as I was, for the right podcast of Celtic music, just stop right here, pull up a chair and enjoy the best. I have subscribed to the Podcast for a couple of years now via iTunes and think both the Music and Irish Blarney is fantastic. The recent issues have been causing my iPod to crash for reasons I cannot understand. I subscribe to several other podcasts but yours is the only one which I have experienced problems with. Has anyone else given similar feedback? The Podcasts seem to play OK on my PC so it is not the end of the world and will not prevent me from continuing to enjoy your show. Love your show. Keep the great music coming. It’s the only way I make it through the work day. Wonderful Celtic and Celtic roots podcast. Found this through a recommendation from the Irish and Celtic Podcast by Marc Gunn. The narrator has a lovely Irish brogue and gives interesting anecdotes in each podcast. The music is eclectic and provides a great mix of music with Celtic roots from all over. I want to thank you for this great show. I love that you not only play great music, but also give us a bit of the culture and personal history. It really makes me feel at home and through you I feel a bit closer to Ireland. Thank you again. I am currently burning through your older shows, while staying current with your new shows and recommend your podcast to everyone at work. Raymond, Your discussion of Irish accents is on target. I understand about 60% of what you are saying, but it’s very enjoyable. As a long time lover of Irish and Celtic music I am thrilled that each podcast will have at least 1 song I have never heard and they are always great! Raymond does a great job of adding enough context to make you feel as if Celtic Roots has made you Irish. This is a great podcast for Celtic music lovers. The music choices are well thought out and Raymond McCullough is a wonderful host to listen to. The main drawback is that Raymond's commentary is so much lower in volume than the music that I'm constantly fussing with the volume to hear him. Other than being only about a half hour per month I can’t think of a better way to get a Celtic fix in a podcast. I always enjoy the program. I love hearing from the new performers. I would love to find more information from some of the tracks you play so I can find some of these musicians. Do you publish a playlist? I appreciate what you do. Awesome mix of music as advertised and entertaining monolog from Raymond McCullough on the podcast. I’m amazed by the many music sources from all over the world. I not only learn things about the Irish culture but enjoy the music along the way. Thank you! Work is so much better with you in my ear. I listen to your radio station every day and I love it!! I am originally from County Antrim and a lot of the stories, etc., that you recite, I can "see" them in my family members!! You bring such a great deal of joy and thought to my day! Keep up the good work - and the word!! I really enjoy your radio station. I listen to it on Live365 VIP membership on the internet. My name is Jack Uren (Cornish on my father’s side of my family) and my mother’s maiden name is Pepper, but her parentage are Seed and Adair from County Down in Ireland. So keep putting out that beautiful great music. I live in Windsor, Ontario, Canada. Hope to see more additions to this series! Leahy I was familiar with - I own a recording of that one. The rest were new to me. I really liked the strange Middle Eastern/Celtic fusion of Green Man. Hollie Smith sounded a tad like Clannad to me. Thanks - I enjoyed it. Raymond! Great use of yiddish terminology in your podcast #23! that is, "I didn’t write out a whole big long SHPIEL" (at 10:00) Well done! The word shpiel actually means a play like in a theater or a game. Raymond I really enjoy listening to your podcasts. i just returned from a 2 week holiday in Ireland. Met Christy Dunne, Pluckin’ Good banjo player in Westport. Keep up the grand work on your program. I listen to your podcasts at work and really enjoy the music and the story about your boat. You’ve opened my ears to some new artists. Your brogue reminds me of my grandmother’s, which makes you very easy to listen to. I just want to say how much I enjoy your podcasts. I love listening to the great music at work and it’s a great way to get energized in the late afternoon. I also appreciate you exposing me to so many great artists of which some of them are local to where I live, which is fantastic. This is by far the best podcast I have subscribed to. This is what makes my week, hearing it. Raymond, you are doing a hiontach job! Ta ceol na hEireann is fear liom! Go raibh maith agat. This is a great podcast if you like good music. Don’t be put off by the title if you think it will be just all diddledy dee stuff. It covers a broad spectrum of music as long as it’s good and has a Celtic connection. The presenter has a very listenable voice and adds interesting facts about Ireland and its culture. Ever since my public radio station cancelled Fiona Riche’s Thistle and Shamrock, I’ve been hungry for my Celtic fix. I just discovered podcasts earlier this year and have been listening to your back list of podcasts available through my iTunes. As I listen to you, I note an inflection that is questioning (to an American ear). You did state that you don’t have a word for "yes" or "no" in Irish, so making things into soft questions must go along with that idea... Right? I find your show just great. I am a listener from Brisbane, Australia, and enjoy your music on my iPod when walking on the weekends. Outstanding podcast of Celtic Music. I highly recommend this for anyone interested in Irish/Celtic/Folk music. Thanks Raymond, keep up the good work. I really enjoy this podcast. The host always includes a nice mix of Celtic influenced music and breaks up the tunes with interesting stories about his life in Ireland and about Irish history. He seems very genuine in a way that you wouldn’t get on TV or on the radio. I recently started playing the fiddle and this podcast is a great place to find music that inspires me to want to play. Great independent Celtic traditional and roots music, combined with the amazing stories delivered by Raymond in his laid-back Irish cool, makes for some fine listening. As I’ve grown more in touch with my own Scotch-Irish heritage, this was a great find. Hey from Auburn, Georgia USA. Started listening a couple of weeks ago and really enjoy the mix of music you play. Hope to visit Ireland soon. I love this Podcast. Raymond has a good voice, and a flair for interesting "foreign (Irish) language" tidbits. Most of all he gathers great music for each Podcast. Thank you, to him and all the musicians. I love Celtic Roots Radio, I have podcasts on my iPod and do my morning walks listening to them. I am a teacher of Irish and Scottish Dance at Byron Bay NSW Australia and also play Bodhran with a folk band and Tenor drum with a pipe band. Thank you. I found your podcast a couple of weeks ago and really enjoy it. I have always enjoyed music from Ireland and the British Isles. I'm presently researching my Irish paternal grt. grt. grt. grand parents that came to the U.S. as single individuals on different ships during the Great Potato Famine. I know Patrick came from County Cork from my father. But this has been a very illusive family to follow. Their last [name] was changed a couple of times. I had to hire an expert to find information on them. Money well spent. I found more information on the children than Patrick. They settled in Ulster Co., New York, north of New York City. He is not in the 1850, 1860 or 1870 U.S. Census. To make a long story short I think I found them in Hamilton Co., Ohio, near Cincinnati, in the 1860 census index. He apparently died there and his wife Sarah moved the family back to Ulster Co., NY, to be near family. The boys worked as boatmen on the Hudson River. Patrick and Sarah would be proud of their descendants. Could you explain a little about the Potato Famine from an Irish perspective to us Americans. Just found this station and love it! I listened to it all day at work yesterday and will listen again all day today! I live in Athens, Georgia in the US. I found your podcast thanks to my world history class... We have a final project on a country, and I got Ireland... I needed the Irish music and you guys helped SO much! Thank you! My history is Irish so I love learning new things about the country! I bet it is so beautiful there! Me and a couple of my girlfriends are planning on either taking a long trip, or even moving to, Ireland. P.S. Is it hard to learn Irish or Gaelic? I love Danny Boy! I was wondering if you have the Celtic Woman doing this song!? Just love your podcast. It is brilliant! I live in the States, California actually. I have celtic roots. I love all the history, and geography and current events you include into each show. Keep up the great work. Hi, I would love to know where the image of your last podcast was taken and what does it represent ... an ancient church, house, cemetery? I’m so happy to have found your podcast. I really love it, please keep up the great work! From Canada! Do keep on with your historical anecdotes as well. By The way, if there are any Walls family out there listening, or any you know of I would love to hear from them. Thanks for doing such a splendid job! This podcast is amazing!!!!!!!!!!! With me being partly Irish, I always did like the culture and old folk music of Ireland, especially when somebody decided to rock those tunes out. This podcast has all that! And also, the DJ (Raymond) is always there to make the music even better! Raymond is not only just a DJ with a good story or two, he tells you of old Irish traditions and history! If you like any Celtic music, this is a good podcast to add to your library! This podcast is amazing! With me being party Irish, I always did like the culture and old folk music of Ireland, especially when someone decided to rock those tunes out. This podcast has all that! And also, the D.J. (Raymond) is always there to make the music even better. Raymond is not only just a D.J. with a good story or two. He tells you of old Irish traditions and history! If you like any Celtic music this is a good podcast to add to your library! Such a wonderful thing they’ve got going here. Keep it up!!!! Enjoying the show, cheering me up, especially ‘The Ulster Fry’, brilliant. An avid Bodhran player and listener of your great podcasts get updated from iTunes love the sound am also in a small local Celtic band and also play Irish wooden spoons and bones. Keep up the good music. I am enjoying the music greatly. I’m not Celtic (just from Oklahoma) but the music speaks to me. Thanks. I haven’t heard a song as great as "Cinnamon and Sage" by Jamie Kindleyside in a while. THAT is music right there. I’m a big fan of the show. Anything that delves into my roots will hit the spot for me. So, being Irish, I have to listen. Here in Kansas City and Weston, Missouri there is a good amount of Irish music, but you can never get enough. I would like to point out that you said the Elders were from Kansas City, Kansas when in fact they're from Kansas City, MISSOURI. We from the Missouri side don’t like to be mistaken for Kansans. The real city is in Missouri, contrary to the name. Thanks for a good music that I like, I have family history part of celtic roots also. Thanks for playing all the great music. Am glad to hear you playing our Celtic bands from California. Dude you surf! I’m listening to your podcast from Japan! I’m loving it! This is for me. Thank you for this wonderful inspiring podcast. Btw, I’m in Japan originally from NY! Being of Irish heritage I have always enjoyed the music and the history. But after a recent trip to Ireland I can’t seem to get enough. Your podcast hits the spot. Keep up the FANTASTIC work!!!!!! Wow! I LOVE this podcast. Keep it up Raymond!!!!!! I like the podcast. It’s good to hear down to earth music. Loving your podcast here in Haifa, Israel, plus your story of your trip to Jerusalem where you ran into fellow Irishman. Love the show. Gets me thru a long and dreary daily commute.. Central Michigan, USA is a lot like Northern Ireland this time of year. I enjoy listening to Celtic music as it has ties to bluegrass and folk music that I like here is the United States. I listen through Live365.com having found it there. I have listened to other Celtic stations but I found the little background you gave on the speech styling of the Irish quite interesting. I was listening from my home in Indianapolis, Indiana, USA at about 0130 hours Eastern Standard Time on the morning of 7 November. Time I get to bed. I’ll be back to listen. Thank you for a good and informative program. Great music, great craic. It's also great to hear Raymond start the show with a "Cad é mar atá tú?" (How are you?) in a perfect Ulster blas from Belfast! I've been listening to your podcast for a while now & just wanted to let you know what a great job you're doing. The blend of music is outstanding. Thank you! Love the podcast. It ticks all the boxes of my musical tastes. Also love the addition of historical and regional facts. I love this stuff. What a great mix. Hello, from Celina, TX. I love your show! Hello, I am from Brittany, France, but living in Pennsylvania, USA. This is a great podcast that I look forward to listening to. Very nice mix of music and locations! Keep bringing great music to us. Thank you Raymond, I thoroughly enjoyed podcast #11. I loved your commentary and explanations of N. Ireland unmistakable wit and sense of humor. Hi, I am from Wexford but am living in the UK so love to hear some fine Irish music to take me back home. Subscribed thanks to iTunes, really loving the songs. I'm also really loving the song, ‘Rocks of Bawn’, has a lot of emotion to it. Thanks a bunch for the podcast, keeps getting better and better! Many thanks all the way from North Carolina! As a new listener, I really appreciate all the different genres, styles and artists you present. I have to say, though, I REALLY like Barbarian Pipe Band. I must have listened to their song at the beginning of your 7th Podcast hundreds of times! I have recommended several friends to your podcast. Great job! I really enjoy the more upbeat techno/rock songs you use. (Bluegrass is great, but I'm 18. We teenagers really enjoy faster music.) Well, here's good luck to you. Keep on doin' what yer doin'! Thank you so much, Raymond! I just finished listening to the show. Great podcast. I will post info about the webcast on my website to help you gather more listeners. Welcome back -- I was wondering if you'd ever have a new show. I've added it to my playlists for all the Celtic music podasts I listen to. I have been a faithful listener for all of 2 months now, and every podcast gets better and better. I can't find anything better than this podcast anywhere. (And, trust me, I've been looking for a while.) If you're looking for a great station for all things Celtic/Celtic Rock/Bluegrass/Breton, then this is the podcast for you! I miss hearing all the stories and explanation of the Irish language AND the music. When can we look forward to a new podcast??? My grandfather was born in Belfast & his surname was McCullough - maybe we are related. I live in NZ and play celtic fiddle. Great station, do you have the song "Ulster Fry"? Thanks for the great show!! I'd love to hear some Lunasa, as I just saw them live and it was amazing; Sean Smyth is an amazing fiddle player!! All the best, and good luck! Your station has become a morning tradition to me. Keep playing that beautiful music! Sensational. I can't believe I've stumbled on to such great music. I will tune in regularly. Hi Raymond! I've only recently discovered podcasts and this was one I found and subscribed to. I cannot express how fantastic it is - it’s a breath of fresh air. I'm studying at university in Nottingham, England at the moment and these songs make these long three hour morning study sessions in the library in preparation for exams that bit more bearable, and it helps me keep in touch with my Scottish roots. One track that did make me gasp was Callanish by Jonathan Day. I loved the drum rhythm and the vocals by Joanne Hogg were absolutely spine tingling. I swear I rewound it about 5 times in a row! I tried to find it on iTunes but to no avail. A huge thank you for all that you've been doing to support Celtic music, people like you help to abolish the preconceptions of many people that it's a dull, dreary, dying out genre. Keep up the fab work! I would DEFINITELY listen to a 24/7 Celtic Roots Radio station. Unable to sleep, I tuned in quite early this morning, just in time to hear a lovely prayer, followed by a variety of both haunting and jolly tunes all of which I enjoyed and admired tremendously. The icing on the cake was hearing my very own song "Strange Happenings & Miracles" play. What a joy to listen to your station. What an honor to have my own music included! Thank you for your station feature request. You’ve got a great station and we would love to feature it! You’re feature will run for 5 months on the right hand side of your genre pages. I'll be over in July for 9 weeks- can't wait! We just had 2 songs selected to be in rotation on Celtic Roots Radio out of Belfast, Northern Ireland. He’s even got a show from our old friend & podcaster, Marc Gunn. Thanks to Raymond, we’ll keep listening! awesome music, very good choices. as soon as I get my next paycheck. Please keep up the excellent work. Raymond, thanks for giving your link - turned off Radio Ulster and tuned in - sent link on as well. Wonderful stuff and really the real thing. Clean, pure and every note a treat. If you love Celtic and Celtic influence, this is one not to be missed. This is an awesome podcast. The host is funny and interesting to listen to. The music is never the same and always a surprise. By going outside of "traditional" Celtic music and exploring all music influenced by Celtic music the podcast is always able to keep the listener interested. Great work Raymond, I love what you're doing. Just got an ipod for my birthday and heard your show for the first time. It's great and keeps my mind occupied and amused while doing such monumental tasks as painting, fixing up the house and cleaning the garbage. Also subscribed to Celtic Folk Podcast but I think they're out of business. Too bad. Would love to hear more of that type of music on your show. Also, what's the best way for me to support you? Found your podcast on iTunes and it is great! We are planning a trip to Ireland next year and can't wait to hear the music and see the country! Keep playing the great celtic influenced music from around the world and from Ireland, I really love the fact you note the song titles and artists in the info section. We love your little stories, too! I feel like a fool asking you this, but the first word you say when you start your podcast, what does that mean? Greetings from Canada. This is Jesse Ferguson, a New Brunswick Celtic musician and subscriber to your excellent podcast. I'm interested in submitting some of my music for use on the podcast, but I couldn't find any instructions on your website. Would you please give me details? I'd prefer to email you some mp3s, since it would be quite expensive for me to send a copy of my CD across the Atlantic. You can check out some of my work at www.jesseferguson.ca. Greetings from Portugal. Nice to meet another folk podcast show in podomatic like Folklandia. Great to see the new site for the radio show. Have you got my albums? I can send you promo copies if you like. Don't know if you're still doin’ the podcast, but it’s one of the ones I liked, and I esp. liked your hosting of it. Great to hear your show today. I’ll be tuning in on a regular basis. My dad spent a couple of years in Belfast as a young man, on his way from Leitrim to London! I’ve come across a couple of Belfasts in my travels too – in Australia and over here in NZ, as well as having had a couple of very enjoyable trips to the original over the years. There’s a pretty good roots music scene over here in NZ – the local folk music club in Devonport is called the bunker and it’s actually a disused military bunker atop a hill overlooking the harbour – with a great roaring open fire in there in the winter, it’s a great place to hear all sorts of music.